We all want lush eyelashes, right? Products that kick lashes up a notch abound and I’ve found some that can help you get those long, thick lashes you covet. The most common approach—mascara. Have you heard of that new vibrating mascara from Maybelline, Pulse Perfection? Sounds silly, doesn’t it? I couldn’t help laughing when I first heard about it, but I am here to tell you that it is now one of my favorite mascaras. The best way to apply mascara is by moving it back and forth in a sort of sawing motion as you lift to the ends. Pulse Perfection creates that motion for you, and it easily separates each lash while coating and lengthening. It stays on all day, but the trade-off is that it takes eye-makeup remover to get it off. One suggested improvement, however, would be to have an on/off switch, rather than having to awkwardly hold down the button while applying. There are several products now on the market that claim to help your lashes grow thick and long. Sorry, readers. I didn’t feel the risk of eye discoloration from Latisse was worth what I had to gain to test it for you. But there are other, safer eyelash “conditioners,” and I did try two. LashFood is a formulation of natural ingredients, including herb extracts, copper complexes and essential provitamins, that professes results in 4-8 weeks. It was developed for sensitive skin, and you don’t have to worry about any side effects. Neulash, which claims results in four weeks, was created with bioengineered polypeptides that protect against breakage, as well as sodium hyaluronate and hydrolyzed glycosaminoglycans (both occur naturally in our bodies) for hydration and elasticity. Both are applied like clear eyeliner. I used each of these products for six weeks, with several months in between testing to get a fair take on them, and both products absolutely delivered. LashFood (which also has a nice conditioning mascara and eyeliner) is applied twice daily and Neulash only once before bed. 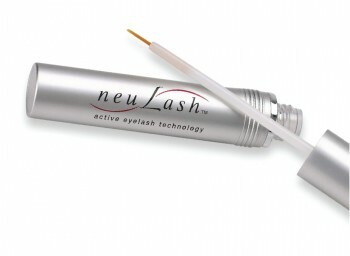 Both are pretty pricey: Neulash at $150 and LashFood at $120, but last at least two months. If you want a more “instant” fix or need some glam power, there is always that old-time back-up, false lashes. Lash Addiction has a generous variety of styles with fun names like “Boy Toy” and “Girlie Girl;” they also have individual lash clusters for a more natural look.